Roller latchbolt means lock is suitable for fitting in doors both left and right hand hung, without modification. Deadbolt is locked or unlocked by key from either side. 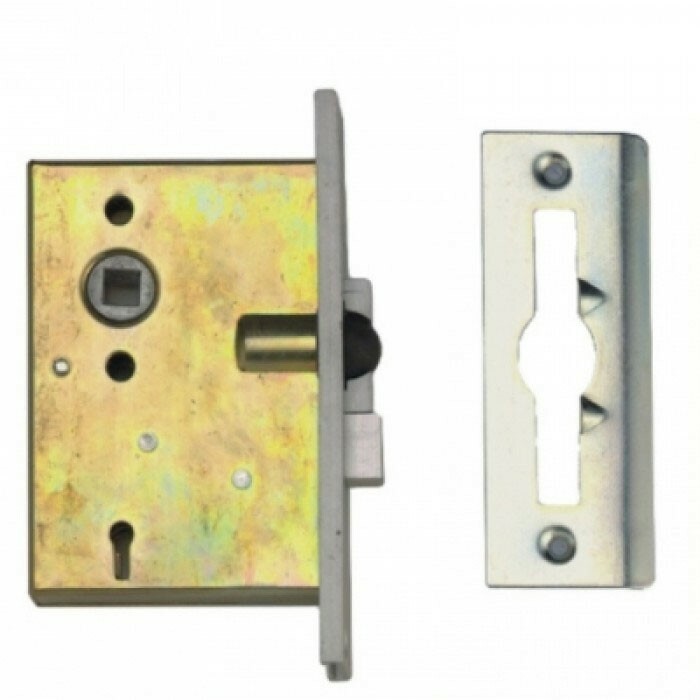 Roller latchbolt withdrawn by lever handle from either side.